We had a whole weekend of perfect weather; 70 degrees, light wind and lots of sunshine. I worked in the park office on Sunday and we sold out of sunscreen. It was fun to see all the red rosie cheeks! There wasn’t even enough wind to fly a kite. 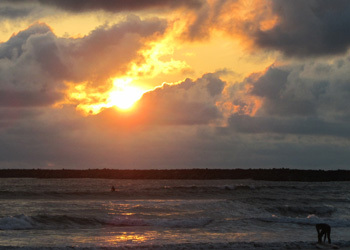 It is beautiful here when the sun shines and the clouds go away. No worries, the rain is back today! They are everywhere, What to do with them? 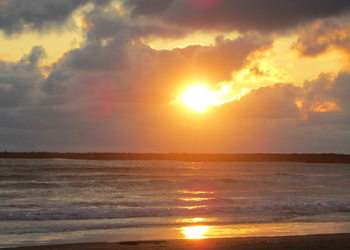 Even the sunset was effected by the lack of clouds! The weekend was perfect and the town was very happy as this was their big festival, Rusty Scupper Days; a weekend of Pirates and all things Pirate. Lots of fun, costumes and great faire food. Monday morning we wake to rain and it is promised for the next 3 days. I am learning to adjust to this weather and will take advantage and get some indoor things done like reading a good book! 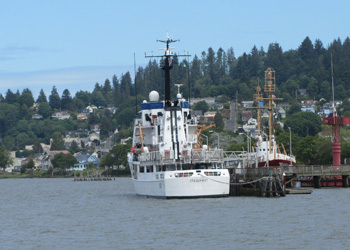 Astoria Oregon is about 1 1/2 hours south of Westport and is a good day trip drive through the lower wetlands of Washington State along the bay – It is also where civilzation begins again! They have a Costco and no sales tax – Boose and Groceries! 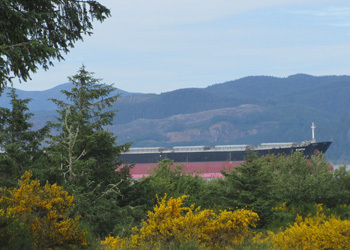 Besides the supply run Astoria also offers a few sites for the tourist. 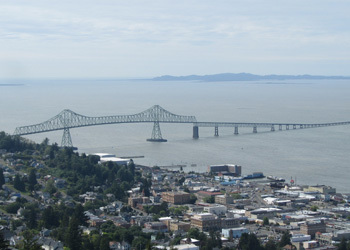 Astoria Oregon,sits on the Pacific Coast across the Columbia River from Washington. 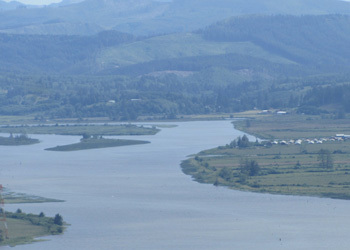 It is about 1 1/2 hours south of Westport and is reached by traveling down Hwy 101 along the wetlands of Southwestern Washington and then you reach the Columbia River! A 4 1/2 mile bridge across the Columbia River! For about 3 miles of the bridge you are just above the water and then you climb this hill (on the bridge) to reach Astoria! Quite a beautiful bridge. Astoria is a quaint little town (at least the downtown is) with lots of little shops, a trolley, a pier and some great fish-n-chips at the Wetdog Cafe where you can also get a burger for your pouch for only $1.00! 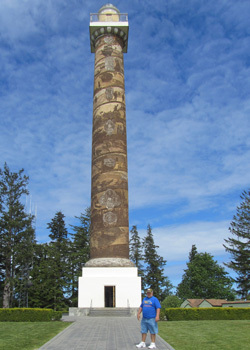 After wandering around downtown and eating we ventured up the hill to the Column for some spectacular views of the Northwestern coast of Oregon. After climbing the 165 steps inside this column you reach the top where you have to walk out the door to a platform that is about 2 feet wide all the way around the top. It is so windy up here, the clouds are moving and you are sure the column is not stable, but just stand there for a few moments and you are aclaimated and ready to take in the views. You can see to the horizon looking west; looking east you see Mt. Rainer & St. Helena; to the north you see Washington and the Cascade Mtns of the Olympia National Park; and to the south you see GREEN, lots of forests and some rivers! 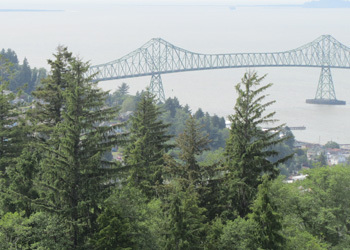 The Column sits atop the mountain of Astoria so the view just from the base of the Column is pretty good. I thought this was pretty cool, an Indian Burial Canoe. 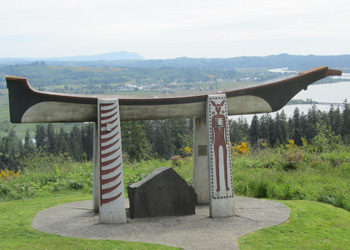 It was on display infront of the Column overlooking the Lewis & Clark River. 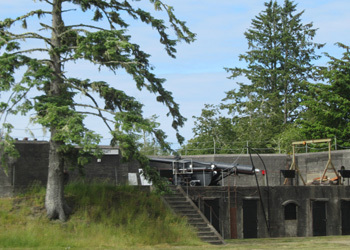 Since Astoria is at the mouth of the Columbia River, Ft. Stevens was built during the Civil War to protect the waterway. 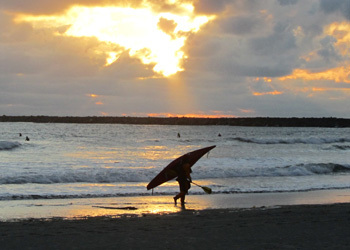 A beautiful State Park with all the fun stuff to do, swimming, fishing, kayaking or just sitting on the beach watching the waves. At least that is what I had read about the fort but Paul had another idea! 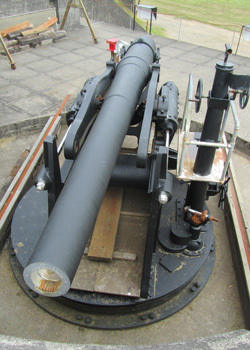 Fort Stevens has Battery’s and lots of big guns that we were able to walk around and enjoy! At least he did. The views from atop the Battery’s was spectacular so I was ok! Enough site seeing lets get to Costco! I love my cell phone. When someone calls you can tell who it is before you have to answer and if it isn’t someone in your contact list it still displays the number so you can get an idea before you pick up the phone. That is what happened Friday morning. My phone rings and it is an unknown number but it is a 408 area code! Ahh, home sweet home. 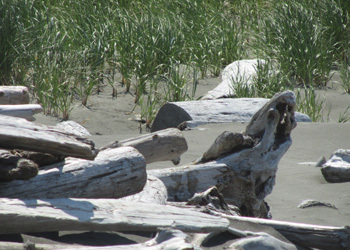 Well I answered it and it was some friends that we had not seen in a very long time and they were staying in Ocean Shores, the town across the bay that is only 8 miles away but you have to travel 45 miles to get there! 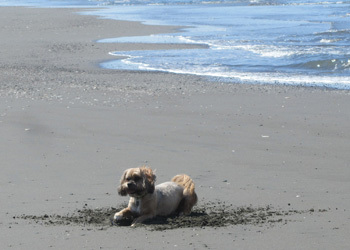 Wow, I guess we are going to Ocean Shores today! 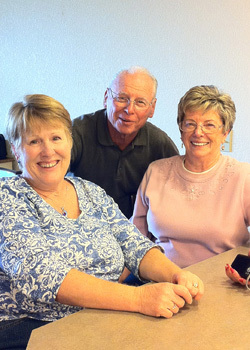 We arrived at their condo right on the beach in Ocean Shores and got caught up on everything and then Estelle said can we stay in for dinner instead of going out! You know Paul was up for that. Dinner was excellent and then we got to play some cards. A wonderful evening. 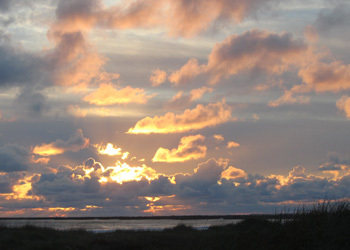 Their timeshare condo was right on the dunes in front of the ocean. There wasn’t a sunset today so we missed a great opportunity. 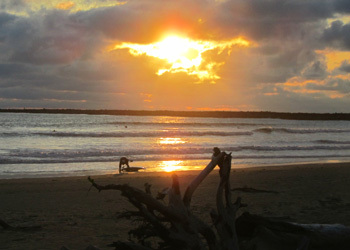 But Saturday was beautiful from our beach! Sunday John and Estelle came to our side of the bay for a little sightseeing. 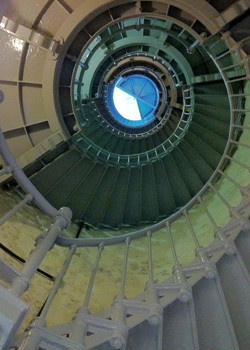 Westport has the tallest Lighthouse in Washington and we climbed the 135 stairs to the top. Beautiful views of the dunes and beach from up on top. The lense is not being used but is still in the top and they let you get right up to it. It was amazing to see how one was built. The prism’s were really thick. I love this picture. I took it from the bottom of the staircase. It is hard to really see but those are all of the stairs, spiraling right up to the lens. 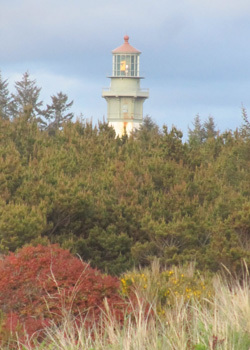 The lighthouse is to warn boats and show them the way into the bay. 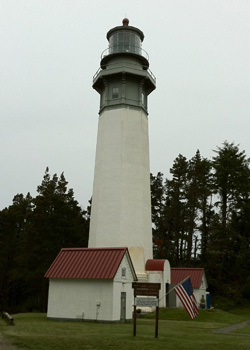 The light is still used today but is a beacon mounted on the outside of the lighthouse. They also use a fog horn which we can often here from our place. 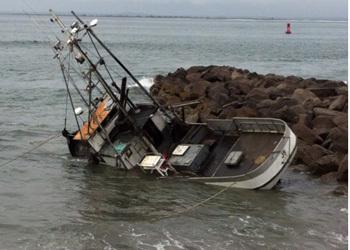 This past weekend a fishing boat apparently didn’t get the information correct and had to call for assistance! Seeing John and Estelle was so nice. I really miss home and our friends. We are making lots of new friends but sometimes it is so nice to talk to someone who knows you and knows about your life. Thanks for visiting guys! Can’t wait for more visitors – come see us. Why do I like things that fly? 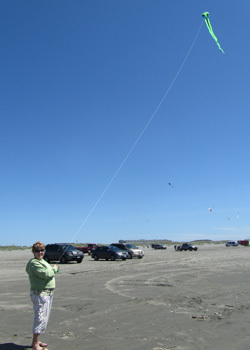 The Pacific Northwest always has wind and what better use of the wind than to fly a kite? 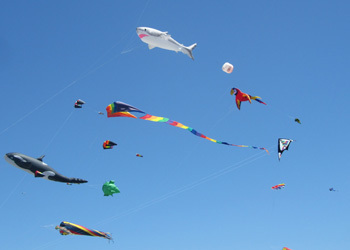 Kite flying is a really big deal here and every beach has their Kite Festival during the summer months. Saturday was an awesome day; the sun was out, the wind was blowing just enough and the temperatures were reaching up to 80 degrees. We made our way across the bay which is only 8 miles but you have to go all the way around the bay so it is about 45 miles to reach Ocean Shores. Finding our way to the beach, which you drive on! No carrying all your stuff down to the beach in multiple trips, you just drive the whole picnic right down to where you want to hang out. We were not the only ones thinking it was going to be a good beach day and there was a kite festival going on. 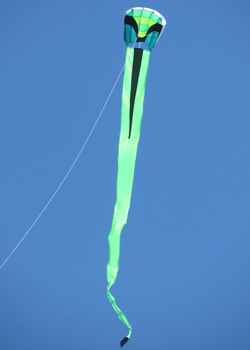 They had demonstrations with one guy operating 3 two line kites alone and doing formations! He the middle kite attached to his waist somehow. There was a couple that did synchronized kite flying to really cool Japanese music. I think that is an amazing talent! Paul and I can’t synchronize dinner! 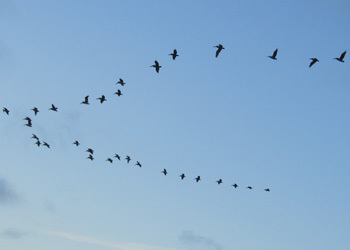 And then there was the regular folks flying and learning to fly. 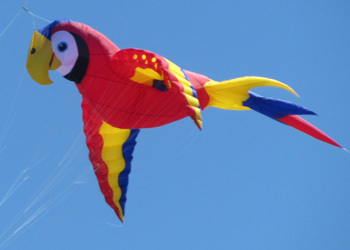 This kite is definitely for the beginner. Unfolding it took longer than it took to put it into the sky and then you don’t even have to mind it. This is kite flying. But no, I can’t be satisfied with easy! I got to try Paul’s kite. This one is a 2 line and requires help getting it into the air – well not if you know what you are doing but even Paul can’t get it up himself sometimes!!! I was doing just fine and then crash! I hit a minivan and the lady was hot. 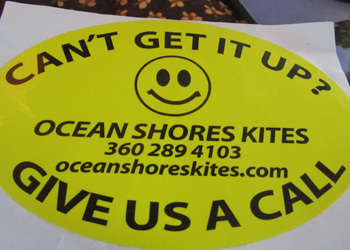 “You put a big dent and scratch in my car?” Wait, this kite doesn’t even weigh a 1/2 lb and it is all plastic! Well needless to say, there was a dent and scratch so we give her our phone number and went on our way. I was done with kite flying for today. Next time it is a quieter beach, maybe one where you can’t bring your car cause people here don’t like to walk out onto the beach. Fine with me. Wait there is more. This lady was angry at 2 pm when we left and about 4 pm Paul gets a call from her. Great! “Hi Paul, don’t worry about the dent, it isn’t that big of a deal and things happen. Enjoy the rest of your weekend” WHAT???? I figure she went home fuming and tells her husband and he own’s up to putting the dent in the car yesterday! A happy ending for me. Posted in Washington | Comments Off on Why do I like things that fly? 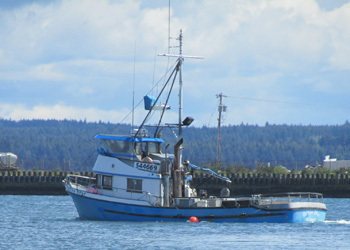 The sun was out again so we headed to the docks to try our luck once again at crabbing. Our attention span is only about an hour and a half but that seems to be enough as we got 3 more crabs, just enough for dinner. According to Paul cost per crab is $11 now as we have six for the season! Most of the time Paul puts the net into the water and waits about 10 minutes before he pulls the net up to make sure his bait (chicken legs) is still there and see if he has any keepers. 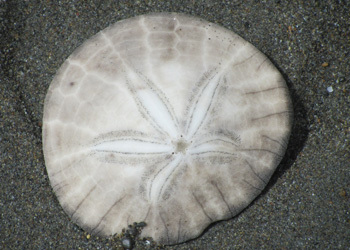 Most catches are 6-8 crabs and usually too small or female. 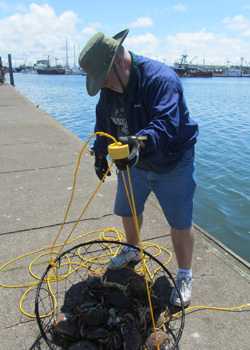 Today in one basket he pulled up 14 crabs! Only one was a keeper. I have never been interested in fishing and would much prefer to order fish out! If you catch your own you have to clean it and then cook it! And the smell!!! Well we are doing just that. 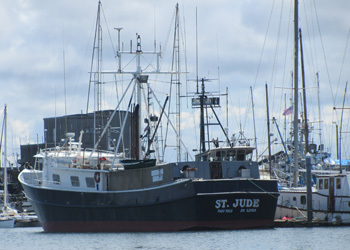 We go down to the docks with our gear, a chair and an ice chest, throw our bait into the waters and wait! I am finding that this is actually fun. 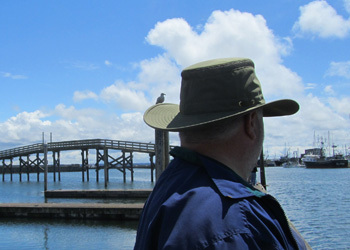 Sitting on the docks you meet some interesting people; you get to watch the boats come in and out of the port; wave off the sea gulls and watch the sea lions try to bully you off the docks. I am finding more and more things to watch and think about while Paul minds his net. 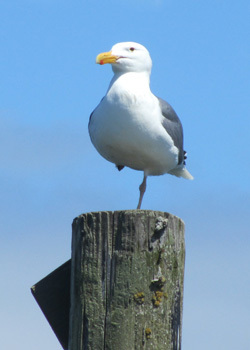 It seems there is never a shortage of things to photograph on the docks. Oh I forgot, they call them Floats here in Washington. Well like I said our attention span is not long so once we got 3 crabs we were done. Right next to the Float is a restaurant/bar that touts they have the Best Bloody Mary’s in Washington. So it is happy hour and I think it is the perfect finish to a beautiful day on float 20. It’s 3:30 and the bar is empty! The tables are at the window overlooking the port, very nice and relaxing. Appetizers and beer is 1/2 price but the Bloody Mary is $12! Guess Paul is having beer! On the cocktail menu they have several interesting choices but I came for the Bloody Mary and it says it includes the 5 food groups – it should for $12! Could they get anything else on that rim? 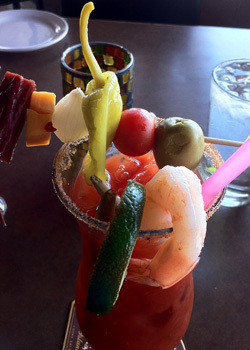 Self infused Finlandia Vodka, peppered rim, cheese, beans, Slim Jim, olive, onion, tomato, lime and a Prawn! It was good. As for it being the best in Washington, I guess I better get tasting if I am going to be able to compare! 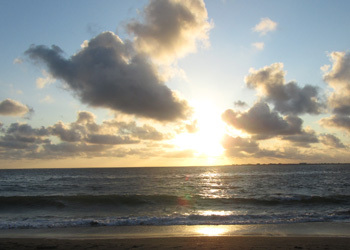 And of course since the sun came out we made an evening walk to the beach. 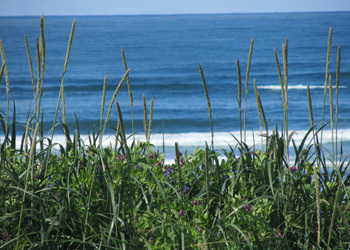 The path leads along the oceanshore and looking inland you can see the town of Westport and their Lighthouse. 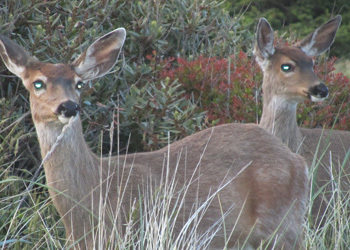 We also encountered a couple of young deer who were interested in Duke’s moves but not enough to run off until they had their fill of berries.